"In the last few years, it seems there has been a rejuvenation of cinema building worldwide. Increasingly thoughtful, provocative, moving, and imaginative films by talented filmmakers. That a new generation of filmmaking may have begun. 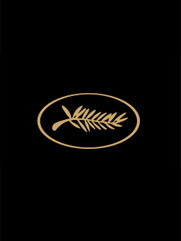 The Cannes Film Festival has long been the epicenter in the discovery of those new waves of filmmakers from all over the world. I very much look forward to participating in this year's Festival as President of the jury." After dual training as both actor and director, Sean Penn was critically acclaimed for his leading roles on stage, transitioning into film by the age of 20. Quickly, he distinguished himself as one of the most talented young actors of his generation with films from At Close Range by James Foley to Carlito's Way by Brian DePalma (1993), The Thin Red Line by Terrence Malick (1998), 21 Grams by Alejandro González Iñárritu (2003) and The Interpreter by Sydney Pollack (2005). The Festival's Best Actor Prize was awarded him in 1997 for She's So Lovely by Nick Cassavetes and, after several Oscar nominations (notably for Tim Robbins' Dead Man Walking and Woody Allen's Sweet and Lowdown), he received the Academy Award for Best Actor in a Leading Role in 2004 for his performance in Mystic River by Clint Eastwood, presented in Competition at Cannes. In 1991, he scripted, directed and produced his first film, The Indian Runner. Sean Penn directed Jack Nicholson first in Crossing Guard (1995), then in The Pledge, selected in Competition at Cannes in 2001. He equally took part in the collective project 11'09'01: September 11. His latest film, Into the Wild, which he adapted from the book by Jon Krakauer, enjoys international success.